Do you want to know about in Sulthan Bathery? Sulthan Bathery is a famous place in Kerala. See below to know the places in Sulthan Bathery. Find here information about worship places, shopping and tourist places. 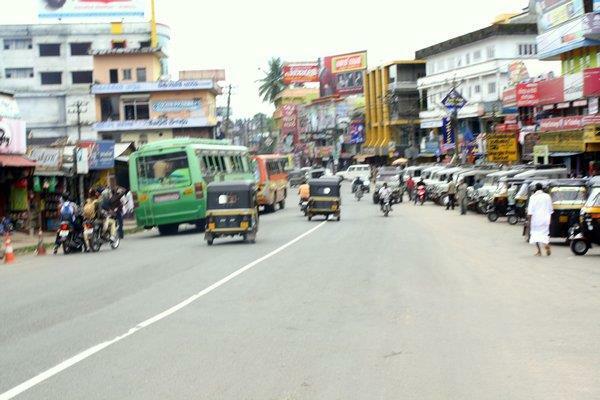 Sulthan Bathery is one of the towns in wayanad district in kerala. In olden days it was known as sultan's battery. It was named after the king Tipu sultan of mysore who used the discarded jain temple and ruled in 18th century. Later it was known as Sulthan Bathery. It is located in kozhikode-kollegal national highway. The main occupation of the people who are living in this town is agriculture. Many schools, colleges, industrial training centers and teacher training institutes are located in this town. The climate of this town is very pleasant throughout the year. There are so many worship places for all religious people. There are many temples, churches and mosques are located in this town. Jain temple is one of the important tourist places in Wayanad. It is not only for jains but also for all religions. It was constructed during the period of 13th century. It is also called as Ananthanatha swami temple. The beautiful pillars of this temple were broken due to some reasons. Everyone must visit this place to enjoy and also to view the excellent architecture. Wayanad wildlife sanctuary is located in Wayanad. It was found in 1973. It is surrounded by two area network. One network is Nagarhole and Bandipur of Karnataka and other network is Mudumalai of Tamilnadu. It is an animal sanctuary. We can see many animals like Indian bison, elephant, tiger and deers. In kerala, it is the second largest wildlife sanctuary. It is also known as Muthanga Wildlife Sanctuary. It is separated into two different parts. They are upper and lower parts. The upper part is located in the north and the lower part is located in the south. Kerala Forest Department has arranged an elephant rides. Thovarimala Ezhuthupara is located 5kms apart from Sulthan Bathery. We can see Stone Age pictorial writings on the rock. The word Ezhuthupara refers to writing on the stones. Regional Agriculture Research Station is located at Ambalavayal in Wayanad district. This station is located 10km from Sulthan Bathery. The climate of this station is mild subtropical. In 1946, it was established and it was renamed as Central Horiculture Research Station in 1966. This station is used to provide research support for agriculture. There are so many substations in RARS Ambalavayal. They are Cardamom Research Station, Pampadumpara and idukki district. Some of the agencies like Indian Council of Agricultural Research (ICAR), National Horticulture Mission (NHM), State Horticulture Mission (SHM), Rashtriya Krishi Vikas Yojana (RKVY), India Meteorological department (IMD) and Government of Kerala have developed Research and infrastructure development.